BMW launched production in Germany on Wednesday of its Project i cars, the first large-scale test of whether building light vehicles out of carbon fiber and plastic instead of steel can speed the commercialization and adoption of electric vehicles. 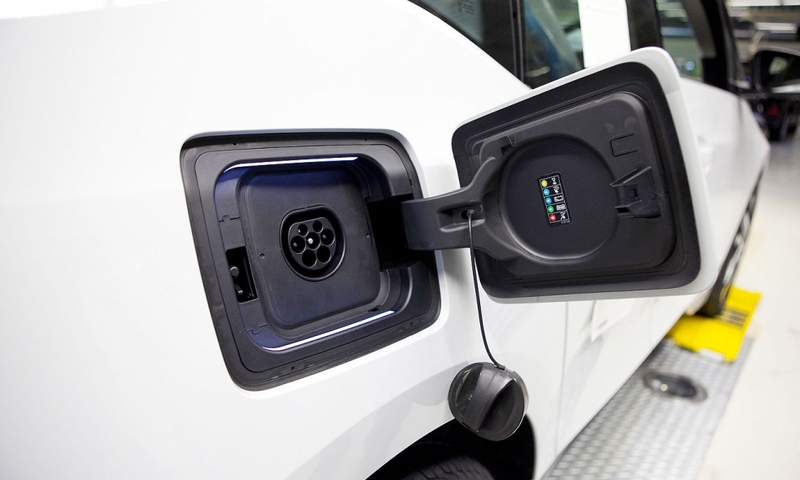 The front and rear passenger doors sit open on a BMW i3 battery-powered car assembled this week at BMW's factory in Leipzig, Germany. 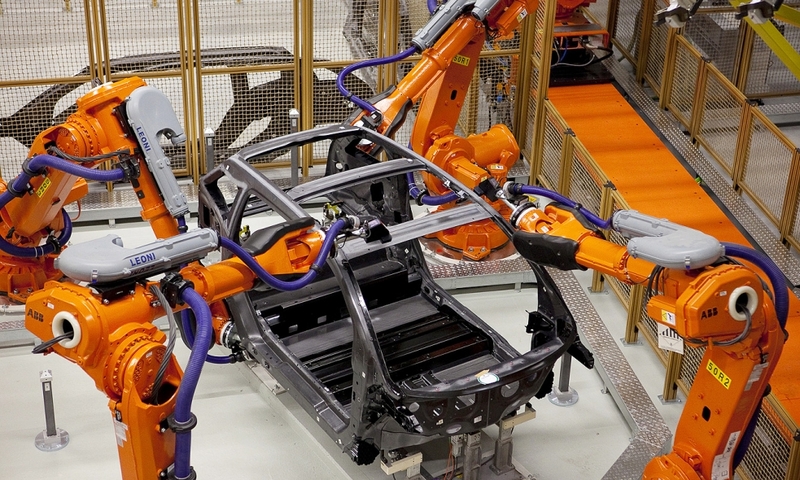 Robotic arms with lasers operate on the frame of an i3. 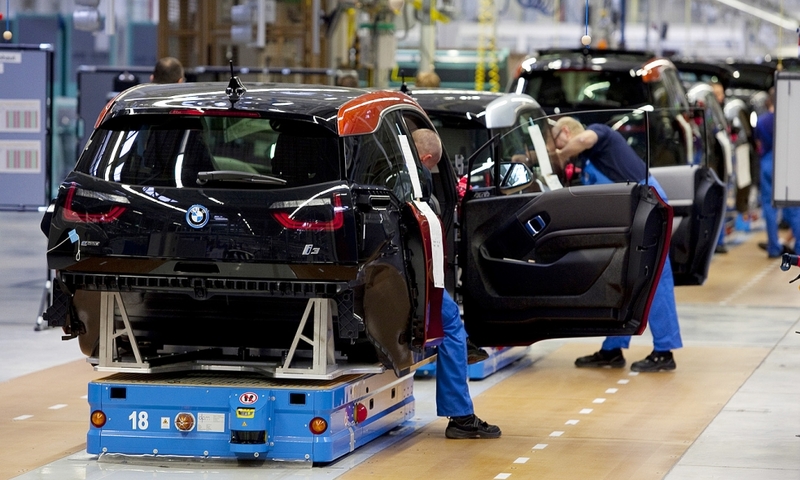 The i3 chassis and body come together along the assembly line. 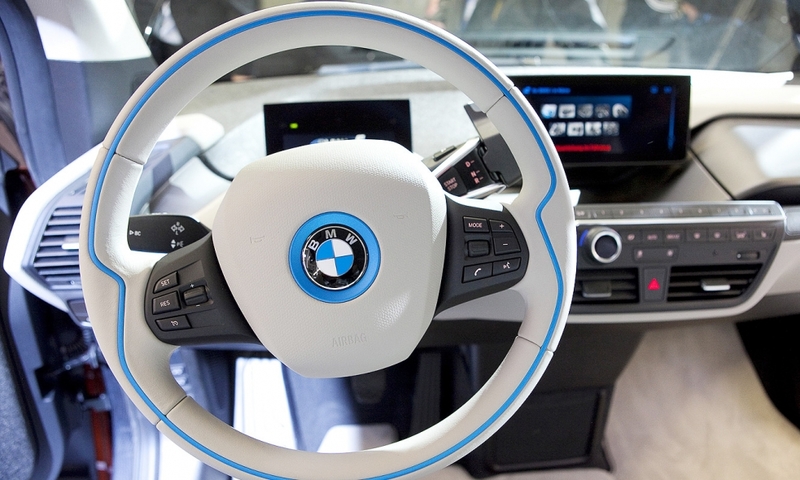 BMW designed the i3 to have about 100 to 120 separate parts in its body structure, compared with about 400 parts in a steel body -- called the "body in white." 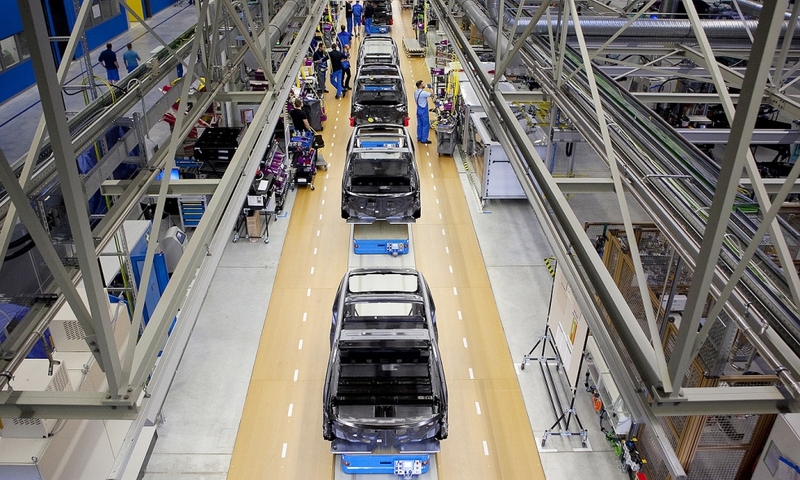 BMW has invested more than $533 million in Leipzig to support the i3 assembly line. The car is built with a carbon fiber frame and body panels. 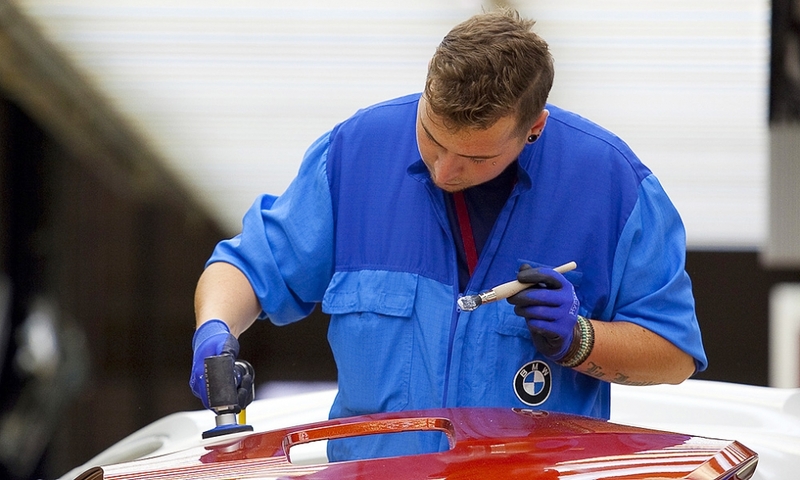 An employee polishes a panel used to assemble the i3. 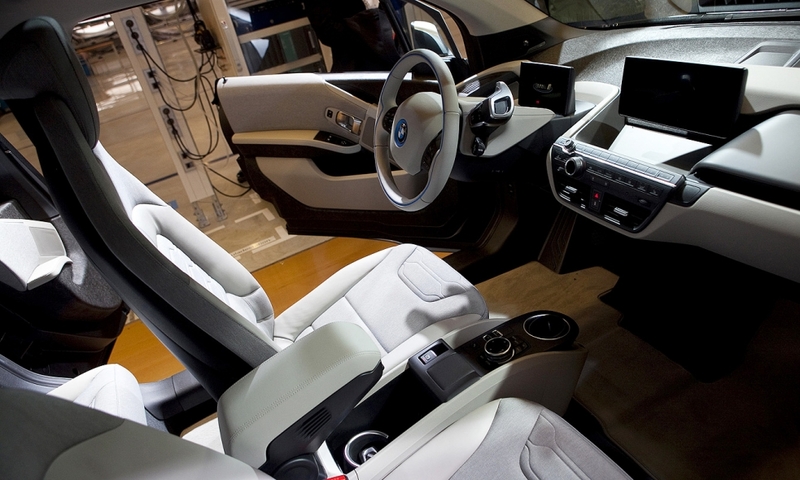 The carbon-fiber plastic is supplied by a joint venture BMW formed with carbon fiber producer SGL Group in Moses Lake, Wash. 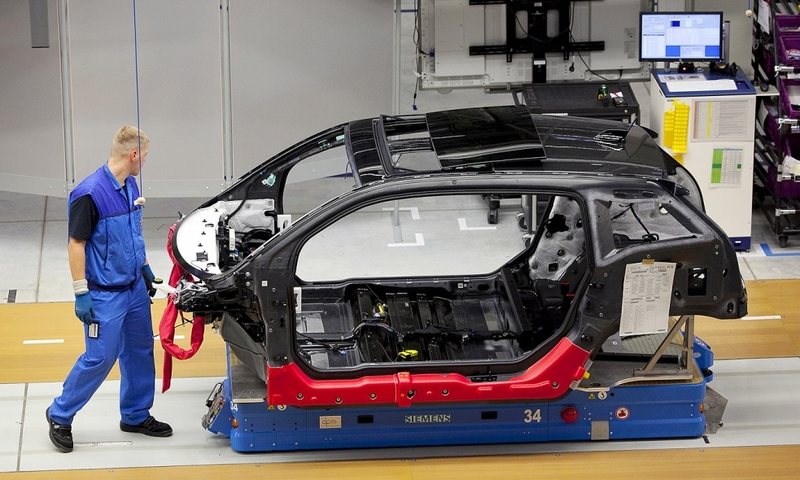 Using carbon fiber rather than traditional steel allowed BMW to trim enough pounds to cancel out the weight of the battery packs that power the electric engine in the i3. 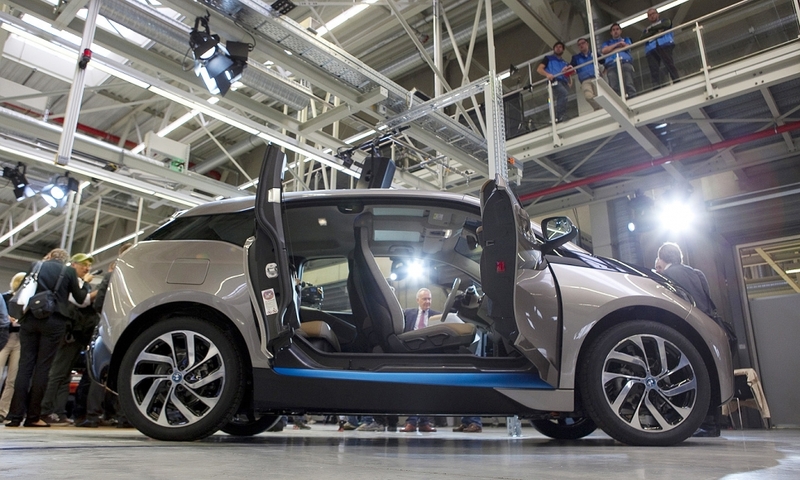 BMW says composites will allow it to produce the i3 using 50 percent less energy and 70 percent less water. The bulk of the savings reflect the elimination of traditional paint processes used for steel or aluminum-bodied cars. 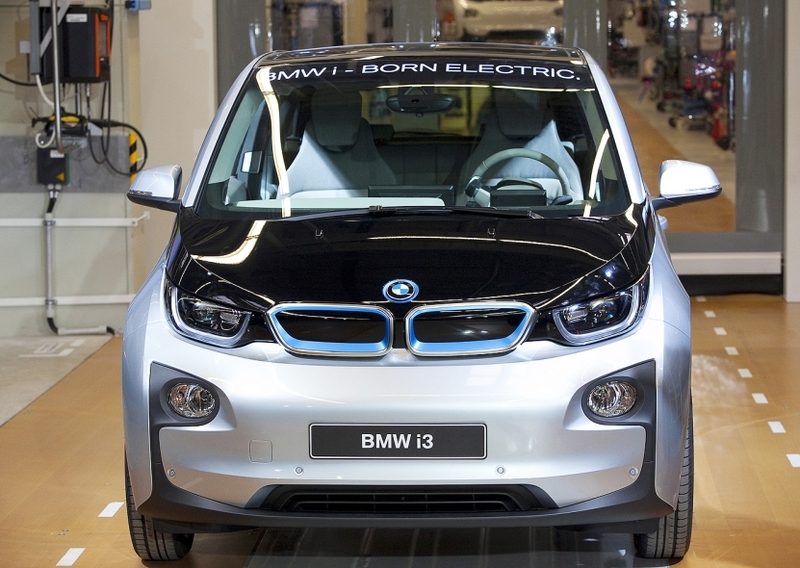 Delivery of the i3 for customers in Europe begins in November while North America and China will begin receiving the cars in early 2014. 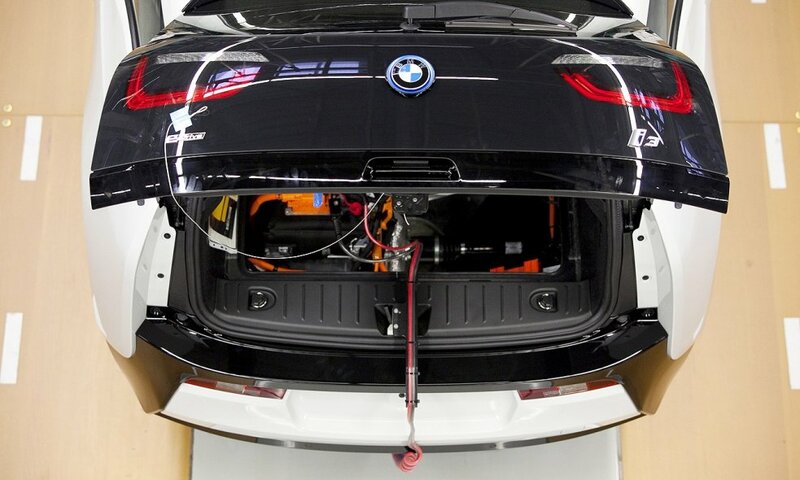 A power cable runs out of the trunk of a new BMW i3. 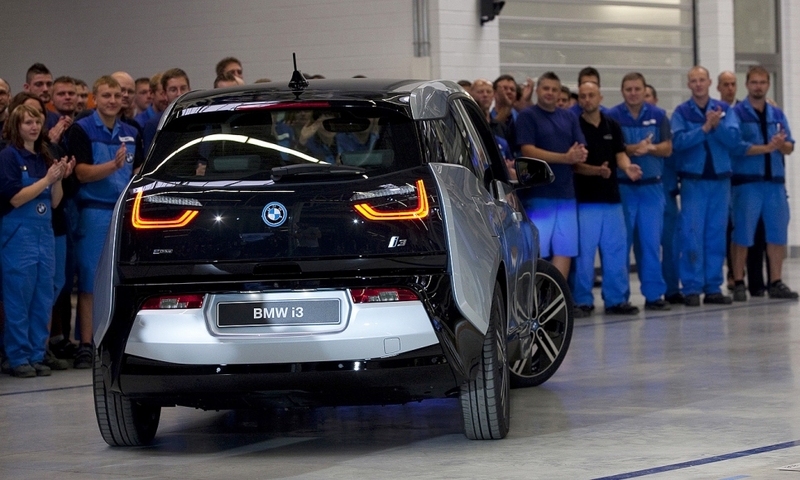 Employees applaud as an i3 battery-powered car drives off the production line at BMW's factory in Leipzig, Germany, on Wednesday. With the $2.7 billion program -- the $41,350 all-electric i3 city car, the $135,000 i8 plug-in hybrid sports car and future models -- BMW is aiming to become the first high-volume maker of ultralight vehicles.